The Internet erupts in applause when the Nintendo Switch’s skimpy line-up adds a new game, so I wonder what the reaction will be when it loses a game. 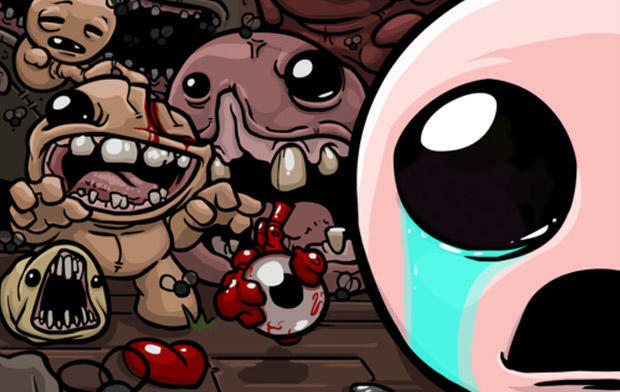 Nicalis has sadly confirmed that The Binding of Isaac: Afterbirth+ will not be available when the console launches on March 3. The delay pushes it to March 17, just two weeks later, but that’s long enough to disrupt the launch line-up. Nicalis says that the game will be getting a delay to make way for the physical version, which has a new bonus that will only be available in the first wave. An instruction manual (remember those?) that is designed to look like an NES booklet can be found in each version from the first shipment. 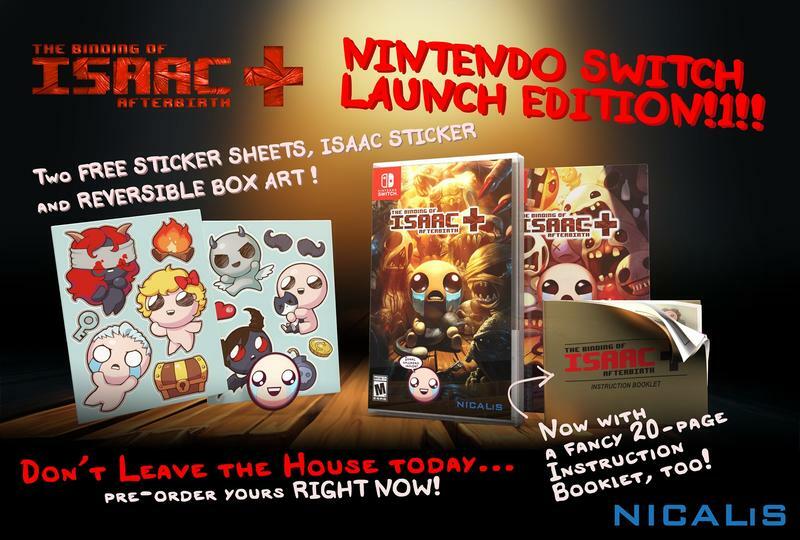 More specifically, Nicalis wants it to look like The Legend of Zelda’s classic instruction manual, and we know this because the publisher provided a few images of both it and the stickers that will come with the game. The delay puts the Nintendo Switch back down to nine total games when it launches on March 3. Between The Legend of Zelda. I Am Setsuna, and World of Goo, you have more than enough quality games to keep yourself happy while the releases pick up.